Since 2001, EUREKA has combined management skills and dissemination know-how to offer simple and integrated scientific communication and training solutions. 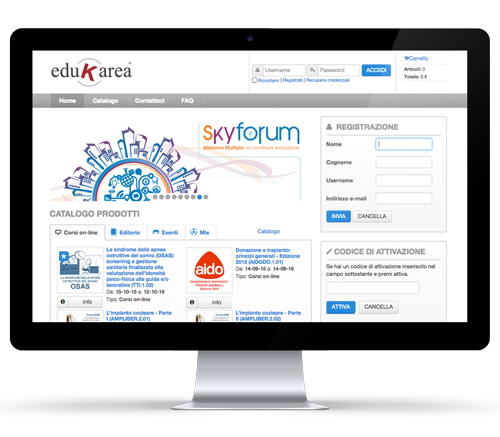 Edukarea is Eureka&apos;s portal that deals with the distribution and delivery of training and dissemination products/services. It is a dynamic platform designed to develop a professional community actively engaged in ensuring dialogue and exchange of knowledge among users. A system that guarantees the quality of certified contents and high user satisfaction. Eureka combines its years of experience with ongoing search for innovation. This is why when deciding where to base its premises, it chooses places that are open to the exchange of information, creativity and know-how. It has chosen the Polo Tecnologico Lucchese in Lucca because it is the ideal place to pursue its primary objective: innovation. GPS: N 43°49'37.9", E 10°30'11.1"